The city of Ferrol is closely linked to the sea since its origins, dating back to the first century when there was a coastal settlement in what is now the old town. Because of its privileged coastal location, with its geostrategic conditions Ferrol estuary turned into a highly attractive location for the Bourbons that in the eighteenth century decided to reorganize the Spanish Navy dividing the coast of Spain into three maritime departments in order to defend the country against attacks by the coast and to protect the American colonies. 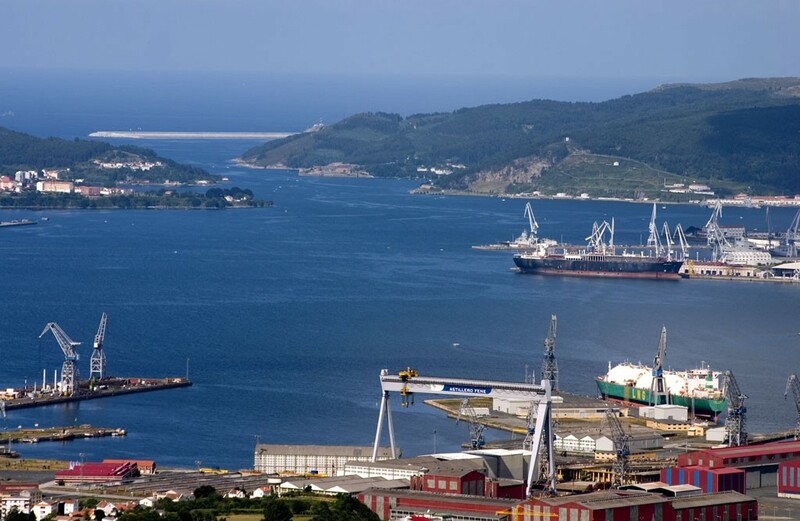 Ferrol became the capital of the Northern Department and in it a number of infrastructure dedicated to shipbuilding and defense rose. All the sailing lovers as well as the ones interested in seeing spaces with a great historical endorsement, can do so through Five Sensations. In our agency we take care of organizing private tours where you’ll discover firsthand the intricacies of one of the largest military bases in Europe. The visit would begin in the Military Arsenal of Ferrol. In it, you would conduct a guided tour in which the history and development of this important naval base is explained as well as their current use, thus assessing the evolution and quality of some military installations whose origins date back the eighteenth century. This visit can be completed with an interpretation of the shapes of the ships that are often moored, using a generic scheme which recognizes its features. Visitors would be able to access to a F-100 frigate to know how and where these anti-aircraft crew ships of 147 meters in length that are currently used by the Spanish Armada work. The tour would end, depending on the visitor’s preferences, either with a visit to the shipyard of Navantia, open to the public only on Saturdays and Sundays, or a visit to Exponav, the National Exhibition of Shipbuilding also open to the public from Monday to Friday every week. 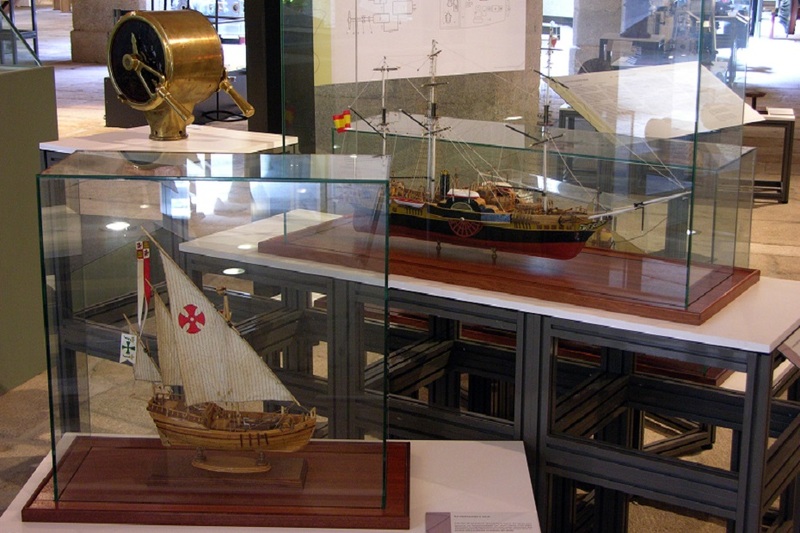 In the shipyard, dedicated since 1730 to build and repair ships of the Spanish Navy, visitors could attend his little-known Permanent Exhibition, a small museum in which, through photographs and various items of work are reviewed the last 85 years of history of Navantia. Besides visiting the gallery, a tour will be made by all the facilities of the shipyard, and the visitors would know firsthand the shipbuilding process and how these ships are maintained and repaired. Meanwhile, Exponav offers in its more than 4,000 square meters of exhibition, a review of the evolution of shipbuilding from the eighteenth century to the present day. It does this through a broad mix of educational and interactive elements which are distributed on two floors: in the top floor there is a room for temporary exhibitions and a series of themed rooms dedicated, for example, to the history of the Spanish Navy or the former shipyard Astano. The ground floor focuses on construction techniques of a ship and at the end of the tour, visitors can access a recreation of an old cabin and a similar one existing today.